The U.S. and Korea participants meeting with former Congressman and then President & CEO of the Korea Economic Institute, Donald Manzullo. To mark the 20th Anniversary of implementing the U.S. Congress – Republic of Korea National Assembly Exchange, Meridian conducted a longitudinal study, surveying alumni from the 2007-2017 programs to assess how this exchange has impacted the 340 Americans and Koreans rising leaders who took part in the exchange. Their individual stories are a testament to the long term-impact of this exchange and of its crucial role in fostering better relations between the United State and Korea. Featured below is the personal story of Tommy Choi, an alum of the 2013 program, who shared with us as part of the longitudinal survey the crucial impact this exchange program has had on his professional and personal life. “So I hear you’re leaving us?,” bellowed our Illinois State Comptroller Judy Baar Topinka as she immediately came storming towards me at our Illinois Nonprofit Advisory Council Meeting. The moment of shared laughter with my mentor, boss, and late friend was always a memorable one as she had just blessed me to take an extended break as Public Affairs Manager and enroll in the 2013 U.S. Congress – Republic of Korea National Assembly Exchange Program, sponsored by the U.S. Department of State and implemented by Meridian International Center. The exchange program provided the educational experience on how to strengthen foreign policy and international relations. The program broadened my worldview, enhanced leadership skills, and deepened personal growth. 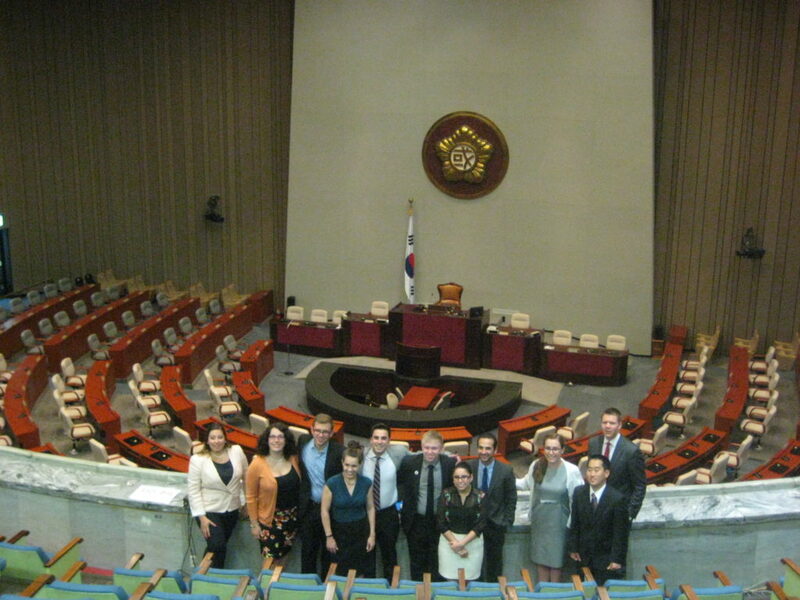 The American participants in the 2013 program pictured here at the Korean National Assembly. Tommy is second from the right. 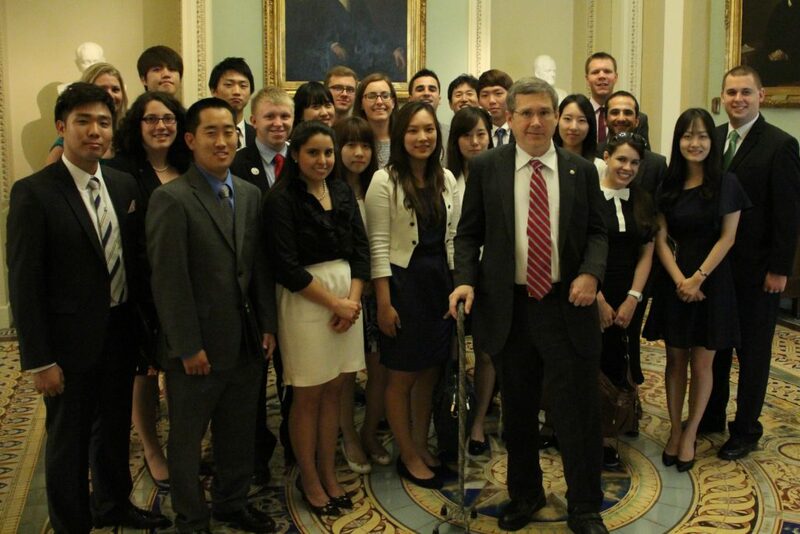 My participation in the 2013 U.S. Congress – Republic of Korea National Assembly Exchange Program laid the foundation to develop a deeper appreciation and understanding in global affairs. As a former intern for U.S. Senator Mark Kirk and U.S. Congressman Robert J. Dold, two previous program sponsors, I experienced firsthand the benefits of diplomacy and engagement based on mutual trust and respect. Through my interactions with visiting Korean participants, I grasped the importance of dialogue and learning from one another through cultural exchange. The American and Korean Participants in the 2013 program pictured with U.S. Senator Mark Kirk, at the time the Sponsor of the program. Initially, my travel experience to Korea was very limited, and I had only begun to explore and find personal meaning in my heritage and roots. At the time, I was just starting to get involved with the U.S. – Korea international business and trade relationship. This exchange program changed all of that and set the tone for my professional and personal life. 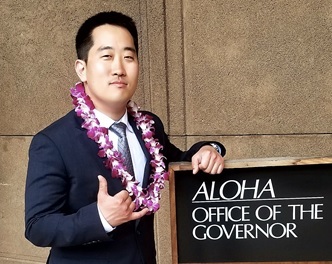 Tommy Choi (first on the left) pictured with participants in the 2018 Overseas Korean Politicians Council which took place in Honolulu, Hawaii. Since the completion of the program, I have traveled annually to Korea and have become more deeply involved in U.S. – Korea issues and in the Chicago Korean American community. I assisted with the planning and execution of U.S. Congressman Dold’s trade mission to Korea; have taken up leadership roles with the World Overseas Korean Traders Association of Chicago Chapter, Korean American Coalition of Chicago; became an active member of the Overseas Korean Politicians Council, supported by the Overseas Korean Foundation; and currently serve as an advisor and community leader for the Chicago Korean American community in its engagement with state government. Most importantly, what this program gave me was a profound appreciation for my motherland and its journey to prosperity. It provided the outlet to see how truly impressive it was for South Korea to transform from an impoverished nation that was totally stricken by the Korean War and heavily dependent on financial aid to a global economic powerhouse and generous donor to underdeveloped countries. This exposure provided the motivation and determination to elevate my career in enhancing U.S. – Korea relations. Tommy Choi is currently the Public Engagement Manager at the Office of the Illinois Governor. Having served until recently as Public Engagement Manager at the Office of Governor, State of Illinois, I often reflect on the program because I was able to help contribute to building multiple layers of economic, cultural, and educational partnerships between the State of Illinois and Korea. I would not be here if this program did not provide the foundation and the leadership skills I needed to excel in my career. My friends and I have gained so much from the exchange program and will never forget our moments of cultural exchange and interactions with government and public officials. The chance to experience Korean culture and form long-lasting personal friendships made a remarkable impact on my life. As the U.S. Congress – Republic of Korea National Assembly Exchange Program builds towards the next 20 years, the influence of this program is tremendous and can make a significant positive difference in the future of U.S.-Korea relations. I hope many more future leaders will discover the benefits of this program and embrace its full potential. 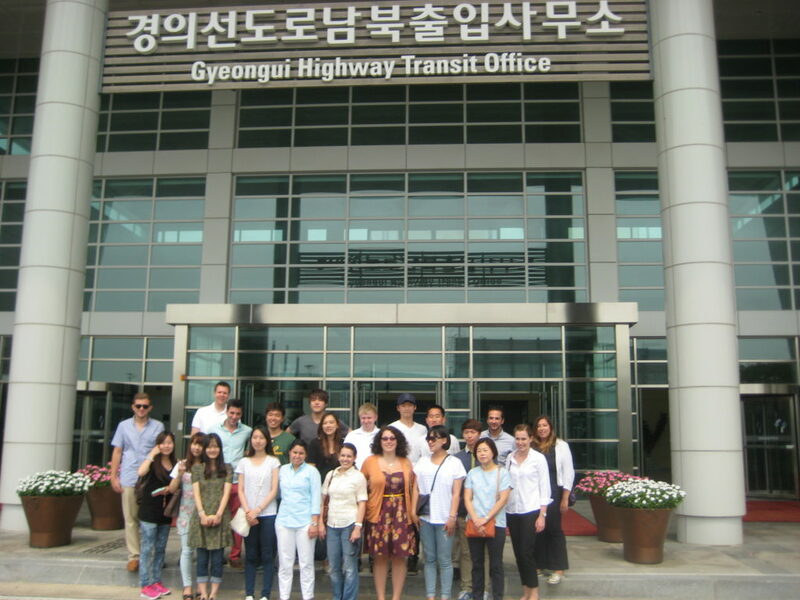 The American participants visiting the Gyeongui Transit Office, the only crossing between North and South Korea on the DMZ. 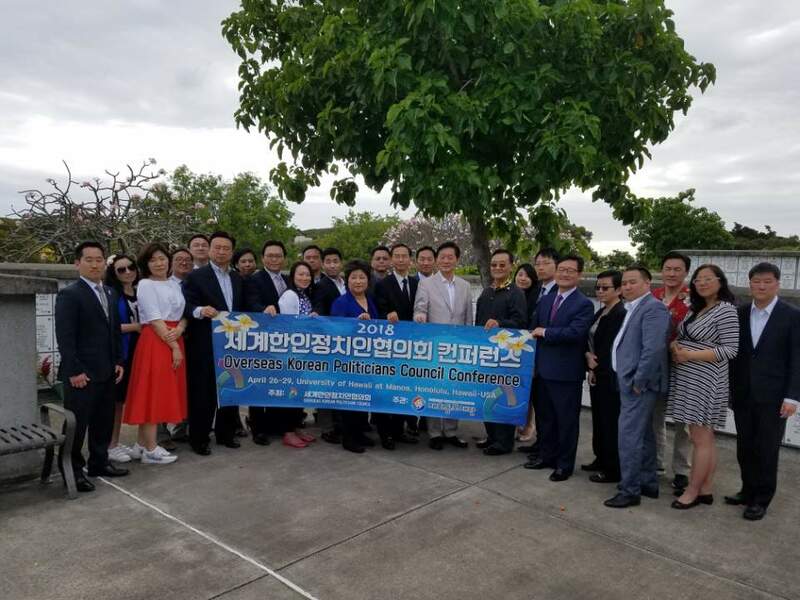 This article is the fourth and last in a series highlighting the personal stories and the impact of the U.S. Congress – Republic of Korea National Assembly Exchange Program on its American alumni. POST TAGS: Capitol Hill, Exchange, Global Leaders, International Exchange, Korea, Meridian Alumni, Meridian Impact, Professional Exchange, South Korea, U.S. Department of State, Youth.